Through tree schools, music, picnics, art, spoken word, theatre and dance organisers encourage the activation of green public space in Dublin’s city centre. The project celebrates Dublin as a potential Playful City where outdoor spaces bring generations together through imaginative design, conversation, gardening and special events. Tree School is a free school. Tree School is a school without walls. Tree School has no homework, only love work. Tree School invites visitors of all sizes, no one’s too young or too old. Tree School has no leaders, we are all students. Tree School encourages radical action and radical inaction. Tree hugging is encouraged, but is not mandatory. Tree School keeps the same hours as trees: We’re always open. Tree School is rooted in James Joyce Street in Dublin’s inner city. Tree School explores all that is political and poetical about trees. Tree School is creating a new ABC….written with a Dublin-specific Tree Alphabet. Who doesn’t want to write a love letter with trees? Tree School offers grafting workshops because the world needs more trees and we can plant them. Tree School disputes the myths of scarcity. Nature is abundant if we could access land, plant a seed, grow a tree. Tree School grafts ideas, unearthing the rhizomatic potentialities of trees. 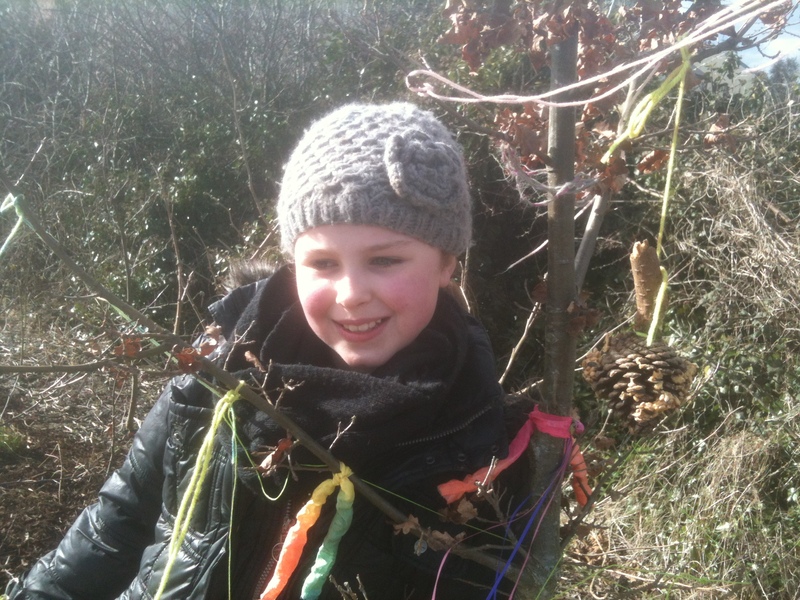 Tree School wants every child to have access to a tree to climb and pick fruit from. Granby Four Streets (Liverpool) is a Community Land Trust (CLT) administered as a not-for-profit initiative offering affordable housing and community facilities. A CLT is a local democratic force empowering communities to develop environmental and architectural solutions for their locality. In the case of Granby Four Streets it is a vibrant endeavour transforming a derelict neighbourhood into a haven for good design. Residents of the area have suffered at the hands of impoverished planning and neglectful politics for decades. A group of 18 young architects collaborating under the name Assemble have begun to change the entire self esteem of this neighbourhood by re-designing homes and local landscapes. They have just won the Turner Prize for their revolutionary tactics. In the aftermath of riots in 1981, the Granby area suffered declines in both residents and liveable properties. It became a forgotten area where houses were boarded up and a sense of community pride became lost in an exodus to escape. Only 70 residents remained in an area where there were once 200 homes. Some of these residents became guerrilla gardeners calling themselves That Blooming Green Triangle (referencing their triangular block of terraced houses). Beginning their crusade over ten years ago, their unyielding commitment to enhancing local landscapes began to re-create hope and a sense of collective artistry. They are a testimony to how pride of place can conquer all. The most discouraging streets have now been revitalised with wildflowers and herbs, pop-up events, murals, markets and garden work parties. Blackrock Community Garden is located in County Louth, Ireland. 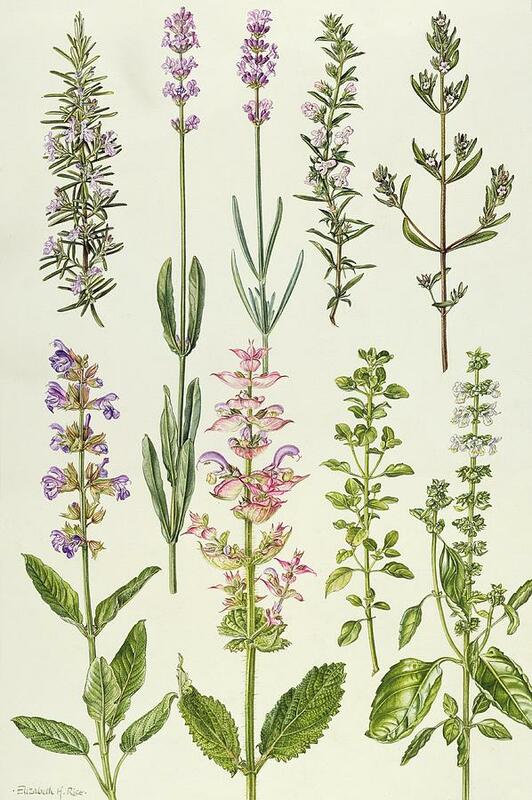 It is composed as a layering of horticultural crops (vegetables, orchard fruits, and herbs), combined with an edible field hedge (hazel nuts, rose hips, hawthorn berries, blackthorn berries and crabapples), and cottage garden floral displays (hollyhocks, roses, sweet peas, geraniums, foxgloves, etc.). The garden enhances both the ecology of the community while also supplying fruits, nuts, and herbs that can be harvested by local residents. Additionally it acts as a refuge, a place apart from the built up environment, a chance to be surrounded by the vitality of nature. The close proximity of the garden to residential areas, a playground, schools, and an outdoor gym means that it is situated within the heart of community life. Since its inception four years ago, residents of all ages have developed an affectionate embrace of the garden, cultivated from neglected land. A dedicated group of volunteers maintain the garden, always inviting newcomers and families to join them as they continue to develop new features, garden spaces and seasonal activities. Irish customs and folklore associated with particular times of year are celebrated through the course of garden processions, nature crafts, land art, and rituals that involve residents of all ages. Local schools have developed groups of guerrilla gardeners that have initiated new garden areas incorporating herb, flower and woodland themes. 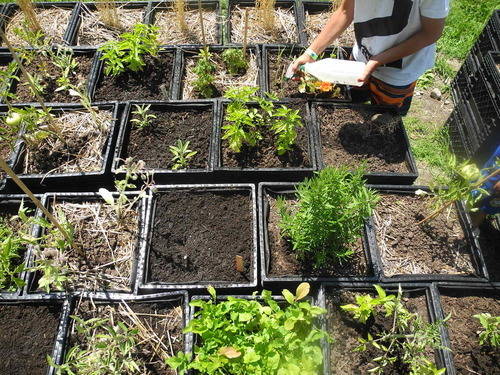 Public education workshops are also available on a range of topics from composting and vegetable gardening to tree planting and mulching with natural materials. Perhaps the most essential aspect of the garden is its therapeutic nature. A garden that is always there when you need it (close at hand and freely available) relevant to the needs of local people. 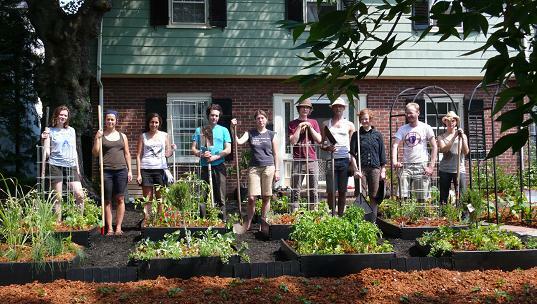 New residents find friends through garden volunteering and seasonal celebrations. Social contacts are generated amongst the generations as senior citizens mentor adults and children in a range of gardening skills. 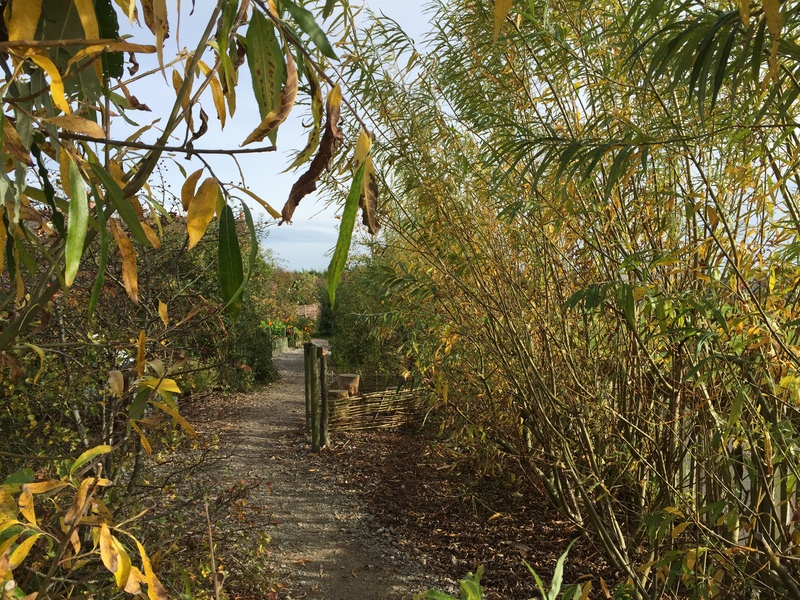 Families visit with autistic children, toddlers roam to find mint and willow huts, and school children use the outdoor classroom space for art and nature study. Horticultural skills and creativity are shared with generosity, as part of the garden’s cultivation of grassroots social networks. There is overall a sense of enthusiasm and a belief that shared resources are the foundation of community living. Today’s towns and cities are engineered for isolation, and growing food in your front yard becomes a way to subvert this tendency. The front lawn, a highly visible slice of private property, has the capacity to also be public…. An Edible Estate can serve to stitch communities back together, taking a space that was previously isolating and turn it into a welcoming forum that re-engages people with one another…. Food grown in our front yards will connect us to the seasons, the organic cycles of the earth, and our neighbors. The banal lifeless space of uniform grass in front of the house will be replaced with the chaotic abundance of biodiversity… Edible Estates takes on our relationship with our neighbors, the source of our food, and our connection to the natural environment….We grow a lawn the same way anywhere in the world, but when we grow our own food we have to start paying attention to where we are… In becoming gardeners we will reconsider our connection to the land, what we take from it and what we put in our bodies (Fritz Haeg, Edible Estates). Garden and environmental activists David Tracey and Fritz Haeg both campaign for the cultivation of front lawns as edible gardens, replacing unproductive lawns with vegetables, herbs, soft fruit, and fruit trees. 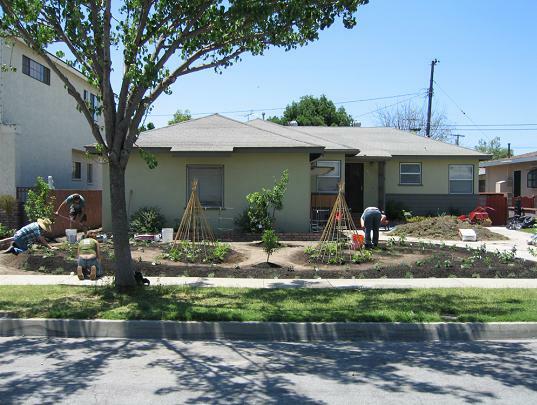 The curbside appeal of the edible estate garden is its location as both a domestic and community food source. The visibility of the garden replaces the uniformity of square lawns, inviting neighbours and pedestrians to engage with private gardens as interactive community landscapes that can develop social networks of local gardening enthusiasts. The potential of the front lawn to be transformed into edible growing, can make the idea of urban agriculture a reality. 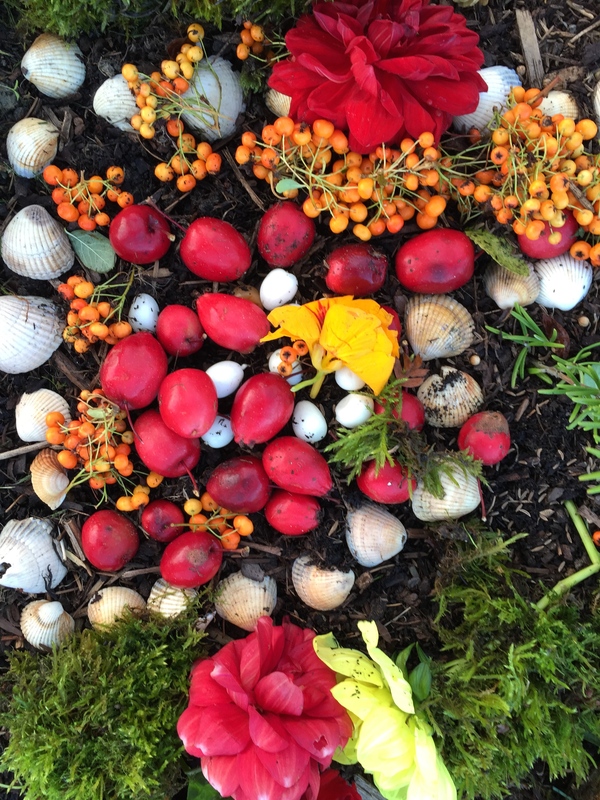 For Haeg this is an artistic project, the installation of edible plants as materials to create truly cultured horticulture, that has at its core idiosyncratic aesthetics reflecting the character of domestic plots of land. Daring to break the rules of conformity, deciding to ‘go wild’, to garden beyond rows, and to choose nature as your guide, is a courageous decision. Fundamentally you are asserting your independence. You have become a free spirit generating a gesture of hospitality as you share your creativity, knowledge, plot and edible crops with others. 1. North Americans dump ten times more pesticides per acre on lawns than farmers on croplands. 2. It costs more money per acre to maintain a lawn than to grow corn or rice. 3. Some 40 billion dollars was spent on lawns in North America in 2005 – more than the continent gave in foreign aid. 4. Phosphorus runoff from excess lawn fertiliser contributes to algae blooms in rivers, lakes and the ocean that kill fish. 5. Thirty percent of the water used on the East Coast of the US goes to water lawns. 6. An estimated seven million birds are killed in the US each year by lawn pesticides. 7. An estimated 75 000 Americans are injured every year from lawnmowers, about the same as for guns. 8. The average homeowner spends 150 hours a year maintaining his lawn. 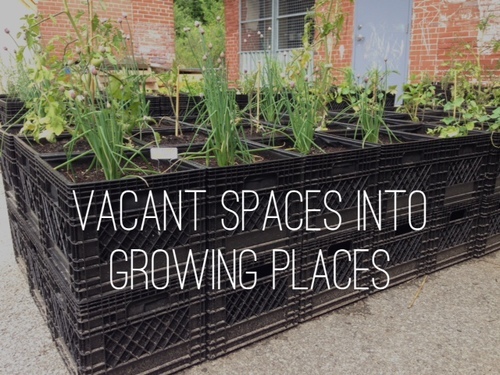 The Bowery Project, founded by Deena DelZotto and Rachel Kimel, is based in Toronto and its aim is to transform vacant spaces into places to grow food. 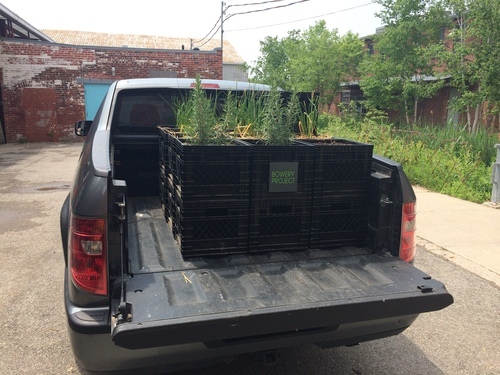 The initiative promotes urban agriculture through temporarily placing portable growing crates into formerly unproductive city spaces. 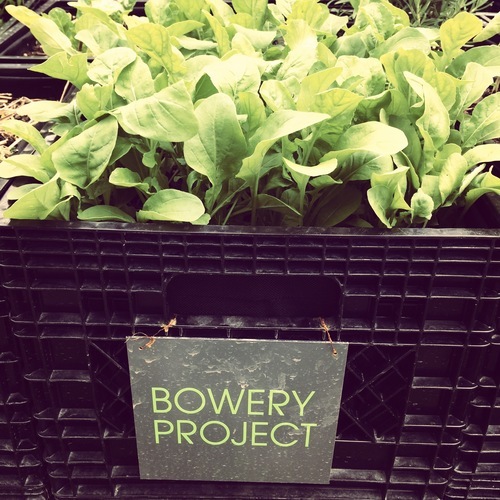 The Bowery Project is a mobile farm growing food for restaurants and charities. All produce is grown in lined milk crates that act as growing containers. Each crate can be transported to different locations when required. Local community members are encouraged to participate in the Bowery’s pop-up gardens which offer hands-on educational experience. The Bowery Project is an innovative way to activate empty city lots, which often remain barren for long periods of time awaiting re-development. For city dwellers transforming an unproductive and neglected environment into a community resource is a practical and sustainable idea that enhances urban living. 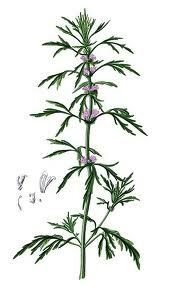 Herbs are plants that signify hope, remedies, and vitality. They are essential ingredients of folklore, traditional cures, and social customs that integrate land with culture. 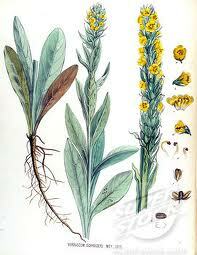 Within Ireland, there are many performative actions that involve herbs as ways to activate growth and soil fertility. Plants bring people together, and evoke eccentric actions as a way of bringing nature closer to relieving ailments of the human condition. Bringing herbs to people, urban places and everyday life in general, is a way to become linked to a legacy of remedies that evoke social history and belief systems. Culture, cures and land are integrated with one another. 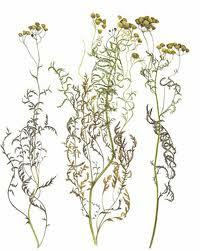 Landscape is the scene of life, and herbs can grow within the neglected and abandoned places that we inhabit. 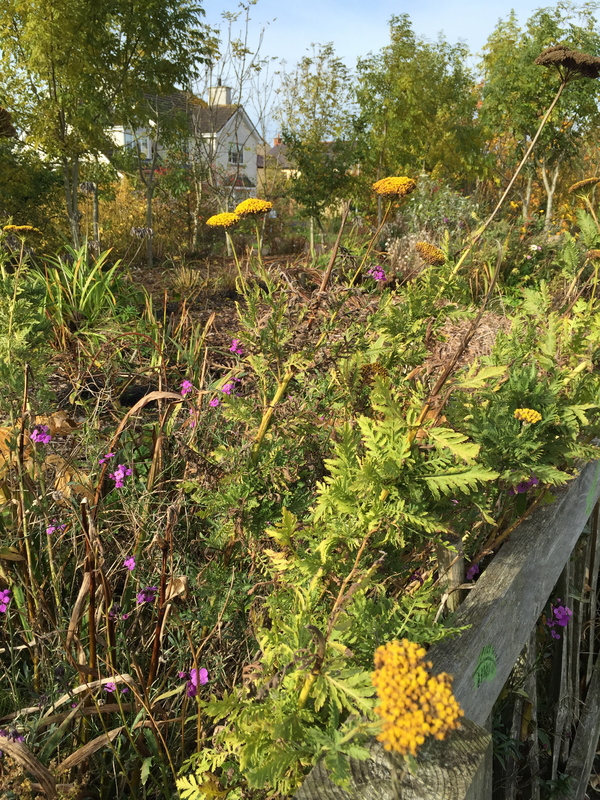 Within the edges of urban and rural spaces herbs find life. Finnish artist Essi Kausalainen uses plants in her arts for health based performances, to enrich physical associations to the natural world. 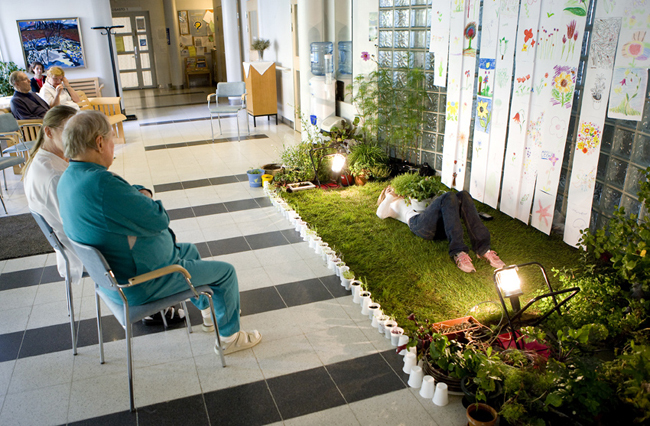 The location of Essi’s connection to plants is visible, situated on streets and in some cases hospitals. She brings ecology with her, and performs it physically, reminding us of how plants are our allies, our anecdote to the complex predicaments of life. Essi Kausalainen has created her work for ANTI Festival during a one-month residency in Kuopio. The work consists of two parts: Travelling Garden (May) and Greenhouse (September). 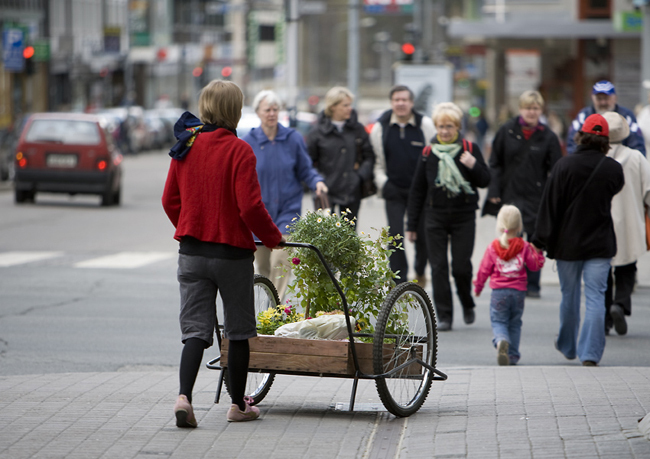 In May, Kausalainen walked around the city with her garden and asked people to draw plants for her imaginary garden. Every participant was given seeds to be grown for the project. In September, Kausalainen returns to Kuopio to see what has grown from the seeds: Greenhouse is a performance-installation build from the drawings and the plants. The work of Essi Kausalainen is presented with the Support of the Alfred Kordelin foundation. The Herbal Commons, a symbolic ‘field hospital’ located next to the Dromiskin Credit Union (County Louth), is inspired by the People’s Apothecary in Victoria, British Columbia, Canada. The People’s Apothecary is an organic garden collectively cultivated as an environment for learning, discussion and social action. It is a garden that benefits the health of the environment as well as the well being of the community. “The People’s Apothecary is a herb garden, a commons, a sculpture, a model for creating self-reliant communities, and a relationship with our selves, the earth and each other” (S. Zapf, The People’s Apothecary, Canada). In Dromiskin, The Herbal Commons has a relationship with the neighbouring credit union, as its ethos relates to co-operation and a belief in the sharing of resources. One of the original aims of the credit union movement in Ireland was to promote better standards of health. A credit union is a collective resource; its belief is working together for the benefit of the entire community. A community garden is a reflection of these beliefs, an example of how many hands can achieve greater results when working towards a common aim. The medicinal garden is an interactive garden, a place for the community to learn about traditional cures and the social history of Irish wild plants and herbs. The Dromiskin Herbal Commons is a collaboration between community members of all ages. 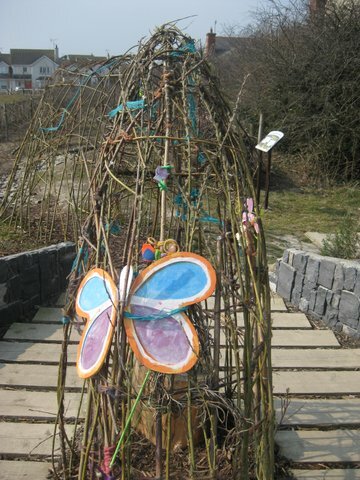 The inter-generational element of this garden facilitates cooperative learning, the sharing of Dromiskin’s cultural history, and the creation of a new landmark that incorporates the skills and visions of children and young people. 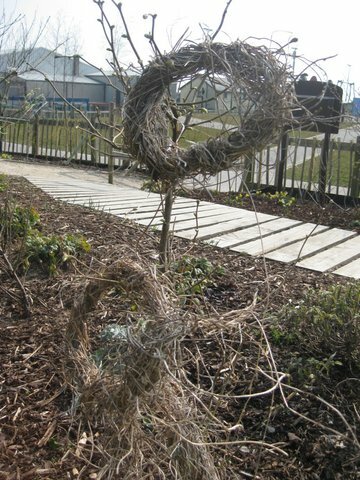 One of the unique features of Dromiskin’s medicinal garden is its cultivation in relation to St. John’s Day. Historically this day, celebrated on one of the longest days of the year, promoted the well being of land, crops, animals, and people. The smoke from the St. John’s Day fires offered protection for health, growth, and the harvesting of potential abundance. Particular restorative herbs were thrown into these special fires to accelerate and strengthen intentions for good will amongst the entire community. St. Peter’s National School in Dromiskin has a copy of the 1938 Irish Folklore Commission’s report pertaining to Dromiskin, which lists a number of unique traditional cures used by the local community. This report, documenting the folklore of Dromiskin, was collated by the principal of the primary school at that time. It will be a reference for the medicinal garden, propagating the past into the growth of the present day community. 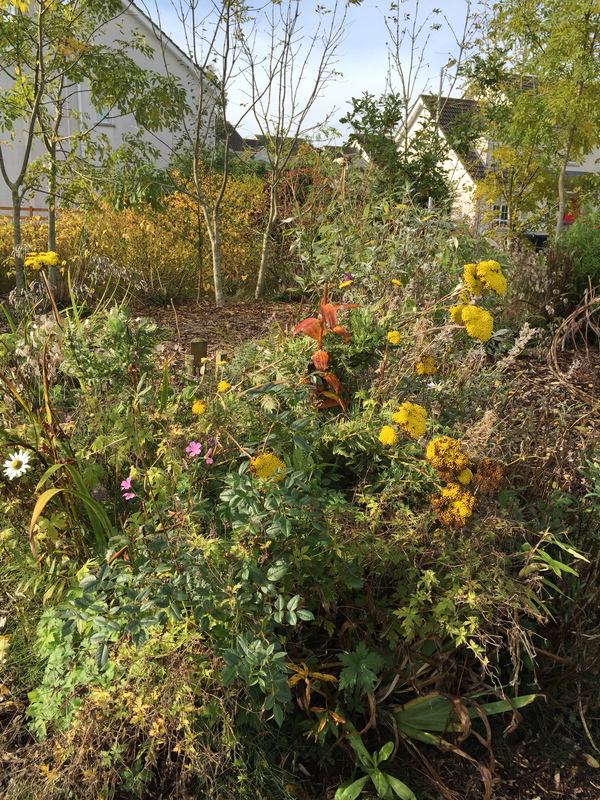 As well as places for ecological environments, biodiversity community gardens are spaces for social gatherings. Biodiversity is a relationship between different kinds of life. Communities are composed of relationships between people of all kinds, reflecting the meaning of biodiversity as a collective life force. Decorations reflect individuality, and can be used to symbolically reflect special times of the year, community events. or public planting events. Decorations provide colour, evoke imagination, and provide a creative opportunity for people of all ages to make their mark within the common grounds of everyday life. 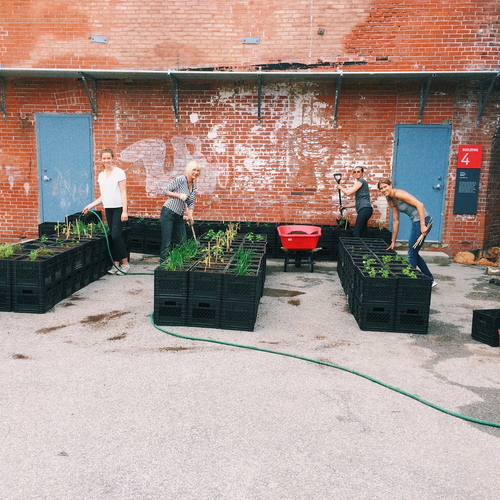 Community gardens are studios for collective expression. They accompany children and adults throughout the seasons, as an interactive space for creativity. They are spaces for artworks developed from growing art materials. Branches, leaves, stems, seed heads, and flowers can all be used for art making. Experimenting with these materials can develop tactile artworks that eventually decay within their outdoor locations. Decorations can also be produced with wool, bunting, fabric, painted stones, knitted garlands, children’s toys, flags, ribbons, etc. They particularly highlight the Celtic seasons, with their rich symbolic content. For example, the tradition of the May Bush for Bealtaine, is a rich symbolic element that embraces the agricultural history of Ireland. 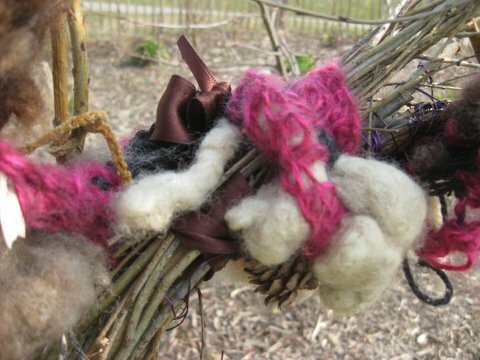 Decorating hawthorn or rowan branches, as well as Irish trees and bushes with egg shells, ribbons, pieces of fabric, etc. for the month of May, is a reflection of the importance of the growing season for Irish farmers. The May Bush is a symbol of protection, fertility and abundance. It is placed in front of the home, along with hawthorn and rowan branches distributed across doorways and windows. Decorations bring spontaneity to the activities of daily living. They appear unexpectedly, and enhance the magic of gardens and life itself. 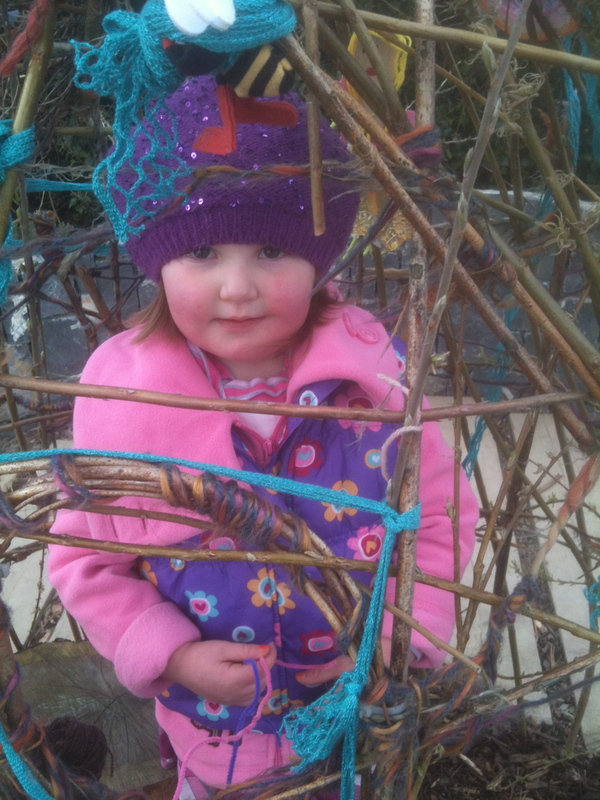 The photos were taken within the Biodiversity Children’s Garden at Blackrock Playground.